Lawn fertility is one of the most important aspects of lawn care, so it is important to know what is in a bag of lawn fertilizer and how it affects your lawn. All lawn fertilizer should be labeled clearly to indicate the quantities of elemental nutrients found in the product. The standard convention for designating these quantities is by a percentage ratio. The three main numbers in fertilizer labeling represent the percentage of nitrogen (N), phosphorus (P), and potassium (K), respectively. For example, if a 50-pound bag of fertilizer is labeled 20-20-20, it means there are 10 pounds each of nitrogen, phosphorus, and potassium (20 percent of 50 pounds). Choosing the appropriate fertilizer blend should be based on soil type, soil test results, and other factors, such as including personal preference (organic or non-organic) or legislation (are there any restrictions or bans on fertilizer use). When you obtain a soil test from a university extension service or a professional testing lab, the results will give specific recommendations for how to amend or fertilize the soil to create optimal growing conditions. Among this information will be a recommendation for how much potassium your soil requires for good grass growth. Potassium (chemical symbol K) is one of the three major elements most necessary for plant nutrition, along with nitrogen (chemical symbol N) and phosphorus (chemical symbol P). Potassium is mined and manufactured in the form of potash which refers to salts that contain potassium in water-soluble form. It is most commonly used for fertilizer in its inorganic versions—muriate of potash (potassium chloride) and sulfate of potash (potassium sulfate). Potash is abundant in many different soils, but not all of it is available for uptake by the plant. Soils with a high clay content tend to have more available potassium than sandy soils. Potassium also occurs naturally in organic fertilizer and compost sources, such as seaweed products, wood ash, and animal feeds and bedding materials. Along with nitrogen and phosphorus, potassium is one of the essential macro-nutrients required in the largest quantities by plants for growth and vigor. Potassium is important in the synthesis of some plant components and the regulation of processes, including the more efficient use of nitrogen by the plant. Adding soluble potash (K2O) to the soil helps grass withstand stress, drought, and disease. Specifically, potassium helps maintain turgor pressure in the cells of the plant, resulting in a positive influence on drought tolerance, cold hardiness, and disease resistance. As a result, potassium deficiencies in turf may cause an increased susceptibility to drought, winter injury, and disease. Potassium is mobile in plants and can be taken up in quantities greater than needed for optimal growth. It can be difficult to identify if overconsumption is a problem because little is known about the optimal concentration of potassium in the turf. Although soil tests are the best way to determine the nutrient requirements of the lawn, in some cases it can be difficult to determine anything more than a potassium deficiency. Plant-available potassium is constantly changing in the soil and is dependent on many factors that are interconnected. An overall healthy soil should be the goal, aiming for potassium levels that fall in line naturally—or with the addition of fertilizers. Fertilizer blends which are high in K (potassium) are often sold as a winterizing fertilizer due to the effect of potassium on the cold hardiness of grass. Consumers need to be aware that terms like winterizer or summer fertilizer are more marketing terms than actual statements of a fertilizer's benefits. Because potassium salts are water soluble, they are readily leached into groundwater and can be also present in the rainwater run-off if they over-used. However, potash is not a known pollutant and it is rarely present in concentrations toxic to humans or wildlife. Potassium does not deplete the water of available oxygen as do some of the other elements contained in fertilizers. 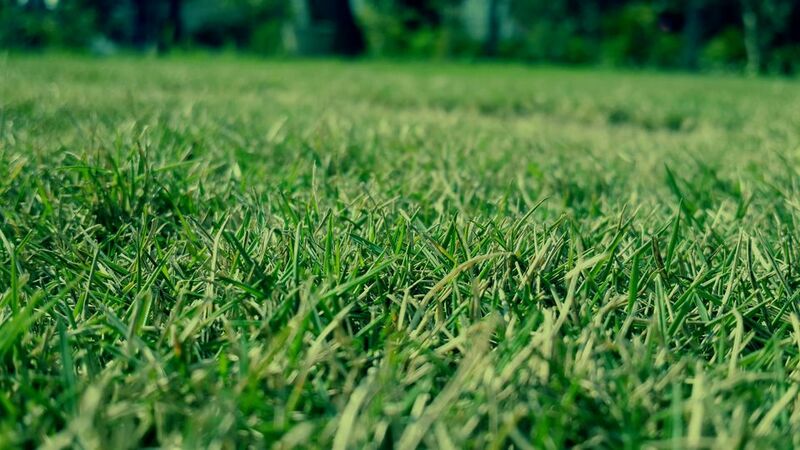 Excess potassium is relatively harmless to the lawn and the environment, but too much potassium likely also mean an excess of nitrogen and/or phosphorus, both of which can be harmful. And over-applying nitrogen fertilizer can be detrimental to the lawn itself—either through creating too much top growth or possibly burning the grass plants.